Changes in life can happen quickly. Amidst your day to day activities, it can be easy to overlook the impact different circumstances can have on your overall estate plan. 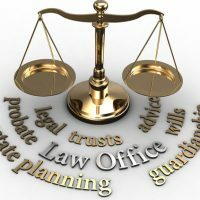 To protect your interests and assets, to ensure your wishes are adhered to, and to prevent disputes among your heirs, it is important to have the appropriate estate planning documents in place, and to update those documents regularly. Last Will and Testament: A will identifies your property and assets, and indicates who you want to inherit from your estate. Without a valid, updated will in place, your estate could linger in probate and result in disputes among your heirs. Durable Power of Attorney: In the event you are incapacitated, a durable power of attorney (DPOA) allows someone you designate in advance to conduct legal and financial business on your behalf. Medical Power of Attorney: Known as a health care proxy, this is similar to a DPOA, but pertains to medical decisions made on your behalf in the event you are unable to make those decisions yourself. Advanced Health Care Directive: Also known as a living well, this specifies the type and extent of end of life care you wish to receive. Even if you have a medical power of attorney in place, this is an important document as it can prevent disagreements among your loved ones regarding how you would want end-of-life issues to be handled. Changes in ownership interests in businesses. In addition to the above, you will want to review with your estate planning attorney any changes to the tax code in terms of the impact these changes could have on your estate. At Cavallo & Cavallo, we understand how hard you have worked for the property and assets you possess. We want to help you make the right choices in ensuring those assets are preserved for your own use, as well as that of future generations. Contact our estate planning attorneys to ensure you are properly protected and that your documents remain updated and valid.